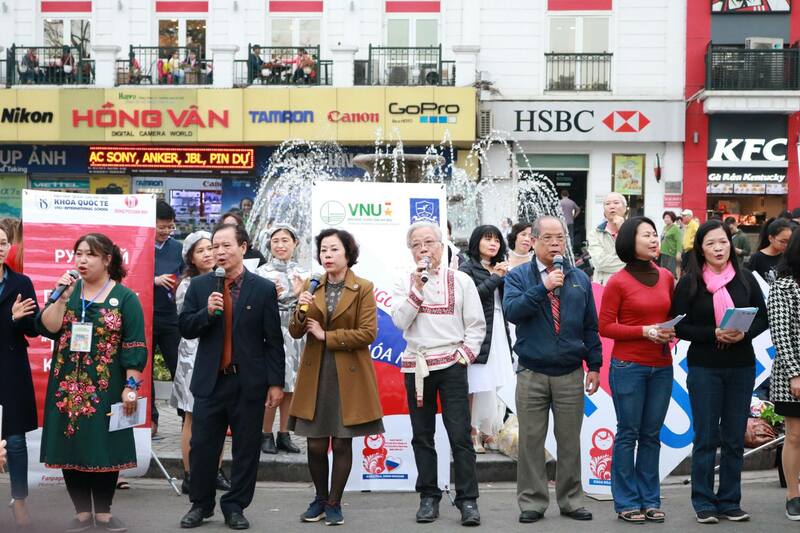 On March 23rd, 2019 at Dong Kinh Nghia Thuc Square, Ho Guom Pedestrian Zone, the fifth Russian Melody in the Heart of Hanoi was organized by the Faculty of Russian Language and Culture in collaboration with the Global Russian reading room. 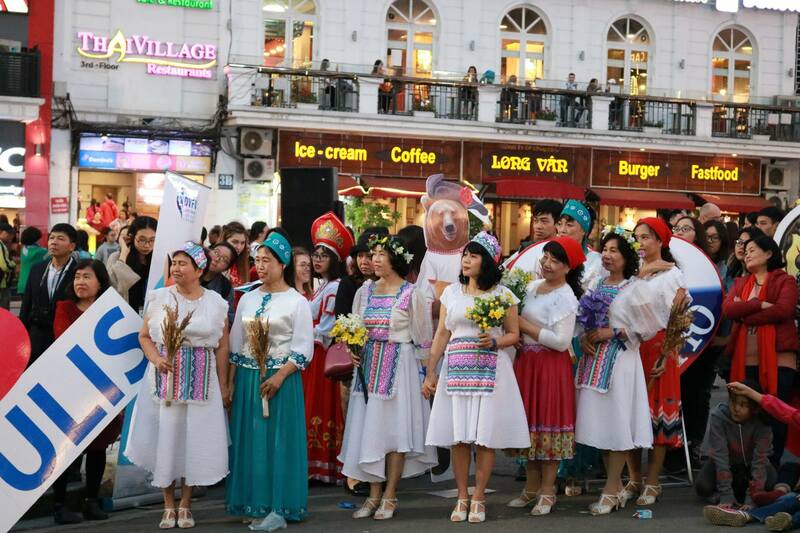 The event was also co-hosted by the Vietnam-Russia Friendship Association in Hanoi, the Far Eastern Federal University, the Alumni Association of the Faculty of Russian Language and Culture. 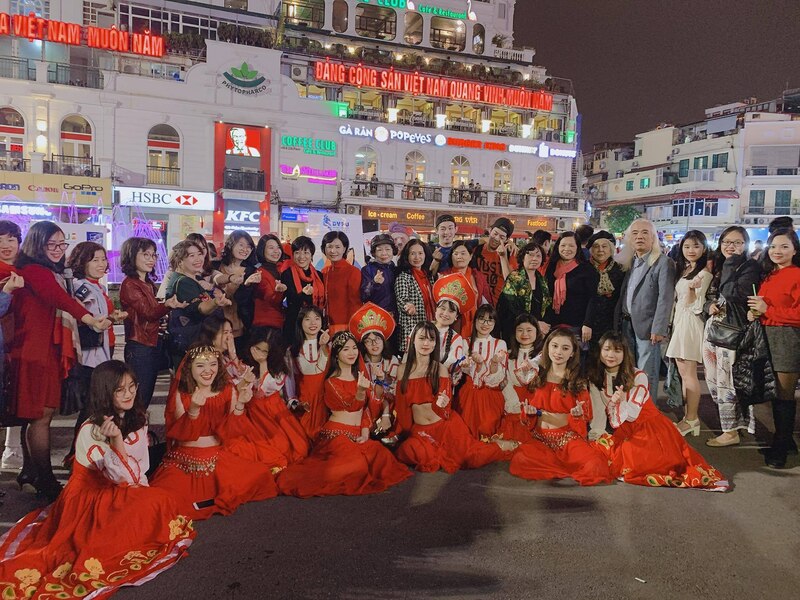 The event gathered a large number of former Russian teachers and alumni, people who had lived and studied in Russia, Russian friends who are living and working in Hanoi, Russian language and music lovers. 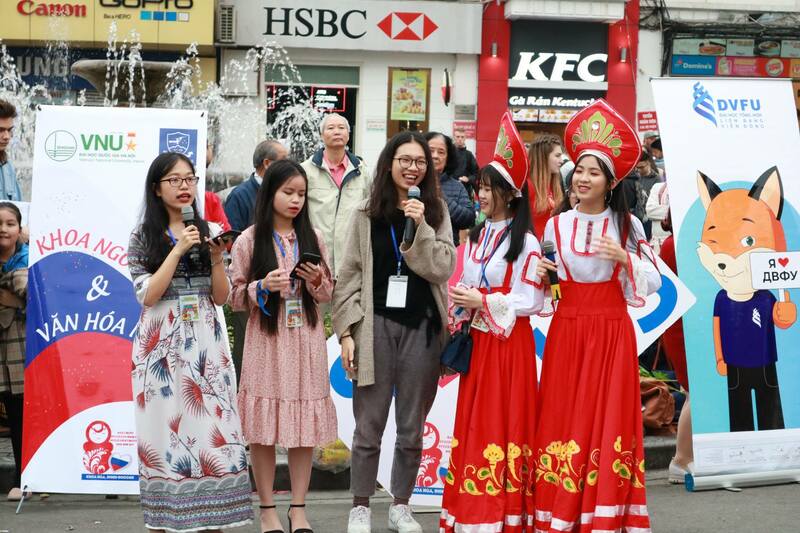 In addition to some special performances delivered by familiar and traditional faces such as Kris dance group, Bang Lang Tim club, Bao band music group, etc, this program was also taken part by fresh performances from the Aries Club, Russian students and trainees from Far Eastern Federal University and Moscow National Language University, students of the Faculty of Russian Language & Culture. 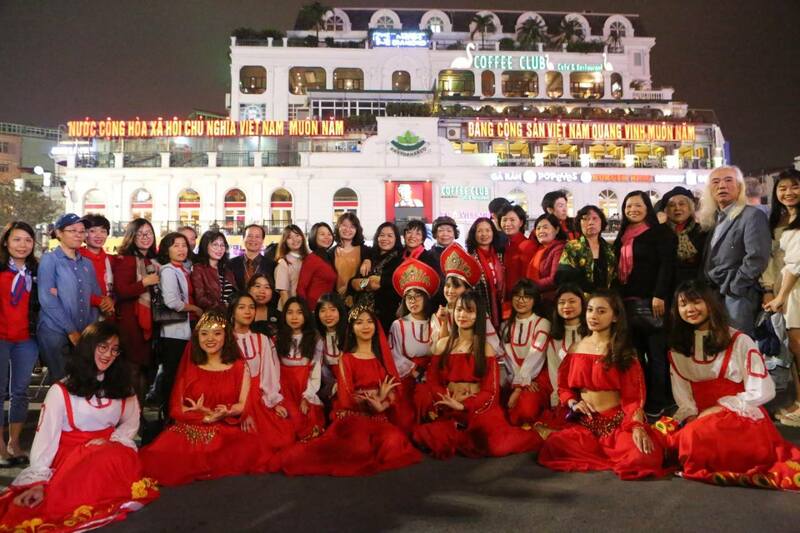 The 6th “Russian Melody in the Heart of Hanoi” will be held in September 2019.